The Federal Drug Enforcement Administration and local law enforcement agencies will host a national drug “take-back” day on Sept. 29 from 10 a.m. to 2 p.m. If you have drugs that are unused or expired, those are a public-safety issue which could lead to accidental poisoning, overdose and abuse. Pharmaceutical drugs can be just as dangerous as street drugs when taken without a prescription. Experts agree that take-back programs are the first choice as the responsible way to dispose of old and leftover medicines to protect your family and to protect our waters. 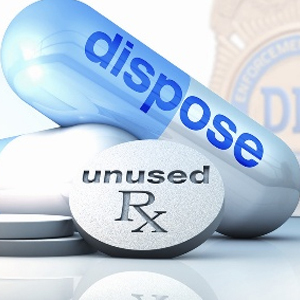 Unused drugs that are flushed instead of disposed of properly can contaminate the water supply. Check with your state health department for other locations throughout the United States. September 22, 2012 marks the ending of summer or the beginning of fall, when the sun crosses over the Earths equator on its way south. An event in the Northern Hemisphere called the autumnal equinox. The word “equinox” comes from the Latin words for “equal night” and refers to when day and night are most equal in length, which occurs just twice a year with the arrival of spring and fall. The best meteor shower show of 2012 is scheduled to occur late this fall. 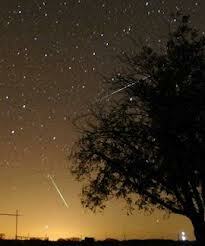 The Geminids will reach maximum activity December 13th and December 14th. There also will be a new moon on December 13th, which means viewing conditions will be near perfect throughout both nights with an anticipated 75 fiery displays per hour. Every school day buses carry some 24 million students to and from school and collectively travel more than 4 billion miles. Considering how many kids the buses carry and the distance they cover, deaths on the road are extremely rare. School buses have a rate of 0.2 deaths per 100 million miles traveled. The rate of deaths in automobiles is eight times higher. Taking a bus to school is the safest way to go, statistics show. But accidents sometimes happen, and our children face other hazards on a bus besides the risk of being hurt in a crash. When it comes to getting kids safely to and from school, there’s always room for improvement. The major risk for children is the travel to and from the bus stop. Kids need to be very careful and cautious when approaching the school bus . The bus danger zone is 10 – 15 feet in front, behind and on the sides of the school bus. Wait until the driver says it is safe to board, and then get on one at a time. Take 5 giant steps out in front of the bus before you cross the street. Be sure the driver sees you and signals that it’s OK to cross in front of the bus. Look left-right-left again for traffic and when it is clear, cross the street. Ask the driver for help if you drop something while getting on or off the school bus. Once on the bus go directly to you seat and sit down. Be respectful of the school bus driver and always obey his or her instructions. When possible walk your children to the bus stop and wait with them until the bus arrives. When driving in school zones watch out for children who may be distracted and not thinking about safety. Slow down near bus stops where children will be playing and congregating. Reviewing these safety tips is a great way to make sure the trip to and from school is safe each and every day!